Hot and California often go together. But that wasn't the case for the Flames AHL affiliate in Stockton last season. But after missing the playoffs the last two years, including the season prior when Calgary's primary minor league team was located in Adirondack, coach Ryan Huska and his band of merry prospects are off to a strong start winning their first two games. On Wednesday night, they defeated the Texas Stars 5-1. That victory over Dallas' minor league affiliate comes on the heels of a 3-2 win in the season-opener on Saturday over the San Jose Barracuda, the minor league team for the Sharks. I took some time late Wednesday night to watch the replay of the Heat's game and here are some observations from that game and on the season so far. Thanks to Stockton's top-notch communications team of Brandon Kisker and Dustin Cowell for the quotes littered throughout. Phew. Finally a good game from a Calgary top D pairing wearing No. 5 and No. 7. OK, that's a bit cheeky, but honestly, Tuesday night's Flames game against Buffalo had to have been the roughest combined night at the office I recall ever seeing from Mark Giordano and TJ Brodie. Meanwhile, looking steady in matching sweater numbers for the Heat last night was top duo Tyler Wotherspoon and Kenney Morrison. They even line up in the right order with Wotherspoon (No. 5) on the left and Morrison (No. 7) on the right. Two of the final defence cuts from training camp -- Wotherspoon having to clear waivers on his way down -- a strong season from both could help influence the decision process if there becomes an opportunity at some point, as there is less money remaining on their contracts, for general manager Brad Treliving to peddle pending UFAs Dennis Wideman and Deryk Engelland. 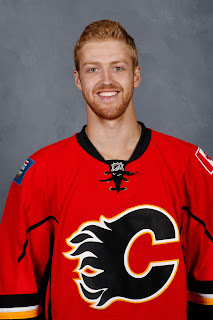 The other two pairings, and it was the same as it was in game one, were veteran Ryan Culkin with Rasmus Andersson and longtime AHLer Colby Robak, who was in Flames camp on a PTO, lining up beside 19-year-old Oliver Kylington. 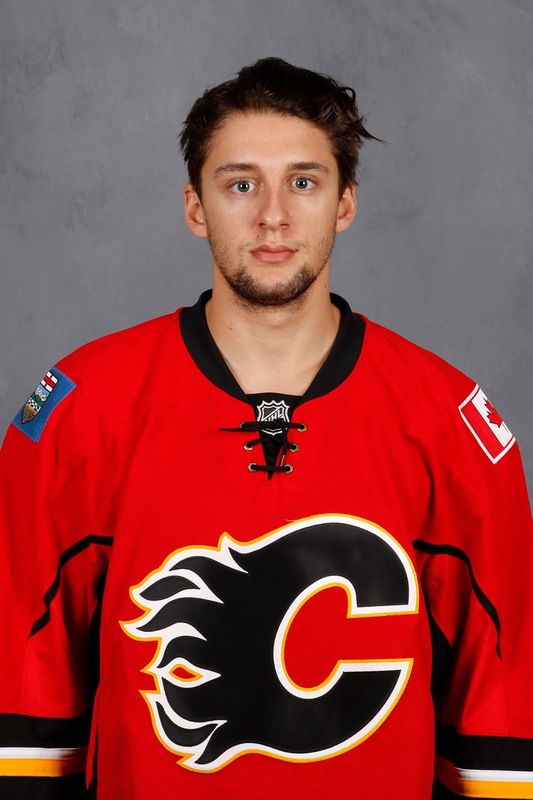 Calgary native Morgan Klimchuk missed the season-opener with a minor injury but he got back in Wednesday, playing the left side with Daniel Pribyl and Emile Poirier, and he got his season off to terrific start with a goal and an assist. Remember, this is a guy that was held to just three goals in 55 games last season and that included getting skunked in his final 33 games. 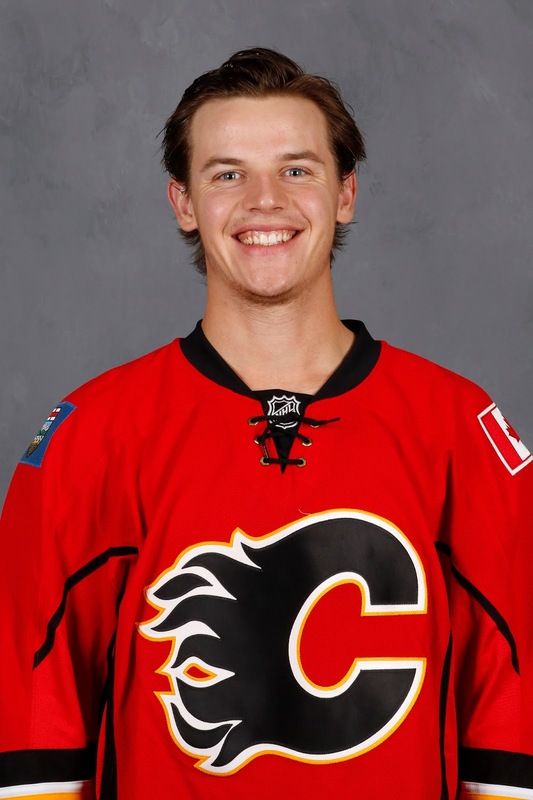 It was a pretty rough go for the kid drafted in the same round as Sean Monahan three years ago. With all that weight on his shoulders coming into his second pro season, it only took one shift to get off the snide. Scoring for the first time since Jan. 13, Klimchuk took a pass from Poirier, split the defence, and darted in alone where he scored five-hole. It got better too. Later, during a line change, it was Klimchuk's pass to Mark Jankowski that ultimately led to a goal for Hunter Shinkaruk and just like that, Klimchuk had his first multi-point game as a pro. When I spoke with Huska about Klimchuk in this piece in September, and at the time he was supposed to play the wing with Jankowski and Matthew Tkachuk in Penticton before a groin injury forced him to miss all three games, he predicted a breakout season for him. Well, his confidence should certainly be at a high after an encouraging season debut. 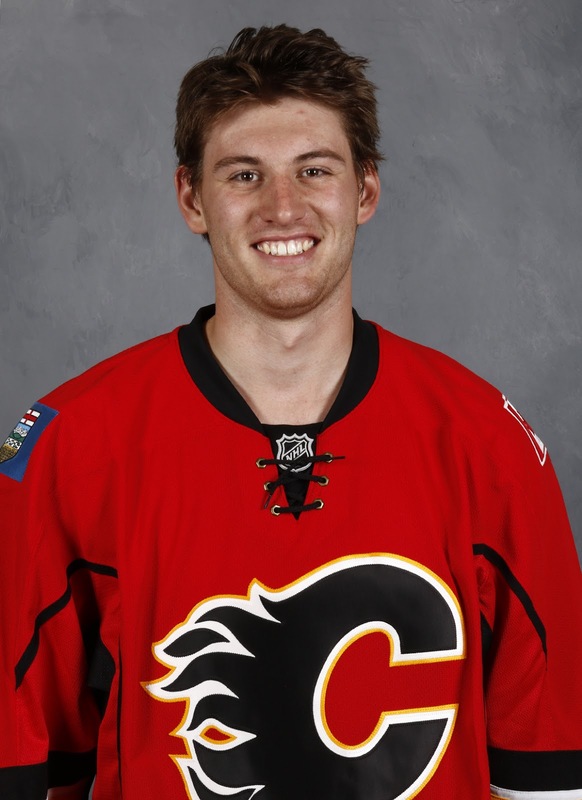 It was another terrific start for the Flames top minor league prospect on Wednesday as Jon Gillies stopped 29 of 30 shots. After a 28-save performance in the opener, Gillies has stopped 57 of 60 shots for a .950 save percentage and is off to a fine start, reminiscent of a year ago. The key difference is last season, his performance came with him in constant pain as he battled the hip injury that had bothered him since his second season at Providence College. That nagging issue shut his season less than a month after it began as he underwent surgery. While the Flames NHL goaltending is set for this season with Brian Elliott and Chad Johnson, the fact remains that they are both on one-year contracts. Typically, college goalies need at least three seasons in the AHL but there have been guys that got there quicker. Jonathan Quick, pardon the pun, would be one example of an exception. If Gillies continues to prove himself to be an elite goaltender in the AHL, we'll see how that might alter Calgary's short to medium-term organizational plan for between the pipes. Maybe his runway will be shorter than anticipated. Either way, it's a positive performance from a guy who is highly touted. With Calgary going with just one extra forward right now in Freddie Hamilton, the bumps and bruises will add up eventually and they'll need to make a phone call to Stockton and bring someone up. When that occurs, one of the guys that will surely be in the conversation to get that tap on the shoulder is Shinkaruk. Especially if the Flames are looking to fill a spot in the top nine. This guy loves to score and this guy is good at scoring. Making it goals in consecutive games, the 22-year-old scored another beauty on Wednesday after a nifty little pass from Jankowki found him bursting up the middle with speed. He made a little juke to sidestep a Stars defender then lifted a slick backhand past the goaltender. "I saw the defenceman had a pretty open stick, so I just wanted to try to put it through him and my move is usually to go backhand shelf and I was lucky enough to pull it off,” said Shinkaruk. His goal in the opener was also pure skill as again he was set up nicely by Jankowski. This time off a turnover, he showed quick hands in burying the abbreviated breakaway. There's not a lot of size in the top nine in Stockton. Klimchuk, Matt Frattin and Linden Vey are listed at 6-foot-0 but that might be generous. Then there's Shinkaruk at 5-foot-11 and Andrew Mangiapane at 5-foot-10. While Jankowski stands out for one, the other guy that looks much bigger and it has to be his extra thickness is Czech free agent signing Daniel Pribyl. A natural centre, the intention according to Treliving when they signed him in the spring was to use him on right wing as he is a right-shot and that was an organizational weakness. Plus, he played some wing last year in the Czech Republic. But he has started at centre both games with Poirier on his wing in both contests. He doesn't have blazing speed so you know what will be an area he has to work on but he is big and strong on the puck and appears to see the ice very well. It may take him a while to get back in top form after being out for six months after major knee surgery and missing all of training camp, but he's a guy to watch out for as the season goes on. After spending a long time in the Tampa Bay Lightning organization and the last couple years as the captain in Syracuse, Mike Angelidis was signed by the Heat to a a one-way deal to be a the necessary veteran leader for Stockton. Sure enough, he was given the 'C' with Frattin and Garnet Hathaway named the alternates. However, Angelidis was handed a three-game suspension earlier in the week for a delivering a shot to the head of an opponent in the season opener, an infraction that went unpenalized at the time. In his absence on Wednesday, it was Tyler Wotherspoon that was sporting an 'A', which speaks to how valuable Huska views the most experienced of Calgary's 'young' blueline prospects. 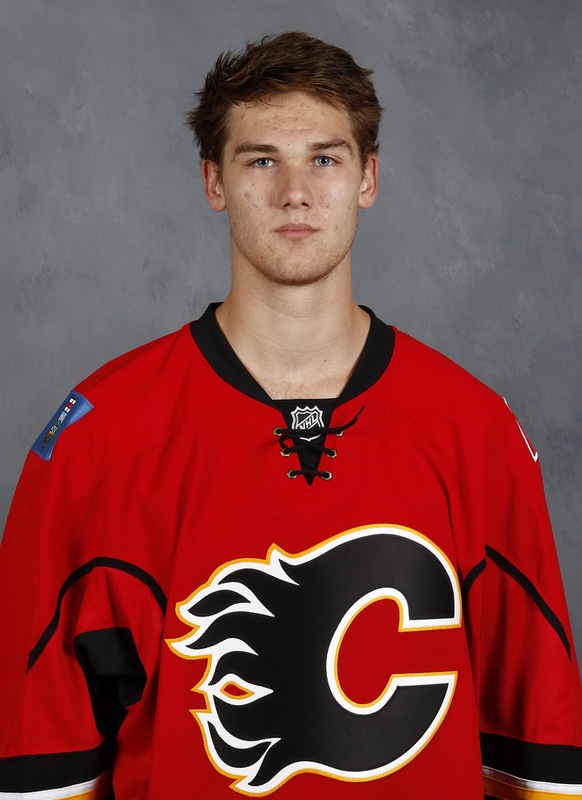 Someone that continues to look good and does not look like a guy adjusting to a new league is Jankowski. Perhaps his comfort in the early going can be attributed to the eight games he got in last year after signing with the Flames. As you'll recall, his NHL contract did not start until this season and that permitted him to join Stockton on an amateur try-out where he went 2-4-6 in eight games. Centering Stockton's No. 1 unit with Shinkaruk and Hathaway for the first two games, Jankowski had a goal and two assists on Wednesday to go with an assist in the opener. Four points in two games? Not bad. He's got lots of offensive tools and you can see the defensive awareness in his game that would have been drilled into him while playing for coach Nate Leaman in Providence. The more you watch Jankowski, service time in the NHL becomes less of an 'if' question and more of a 'when'. For those of you keeping track, the bottom six forwards for Stockton on Wednesday were Mangiapane on left wing with Vey and Frattin as a third line. The fourth line or 'energy line' as goes the cliche, was Ryan Lomberg between Brandon Bollig and Hunter Smith. The intention the way most NHL organizations run these days is for Huska in Stockton to mimic in Stockton in every way the system play being deployed in Calgary under Glen Gulutzan. This enables players to transition into the line-up seamlessly when they get recalled. This includes using the same terminology so again, there is no confusion to what Gulutzan wants an AHL call-up to do in certain scenarios as the advice being barked from behind the bench will be consistent with what Huska is saying. That all said, one thing that looks vastly different from Calgary in the early going is the Stockton power play. After the Flames struggled mightily on Tuesday going 0-for-6, the Heat were moving the puck very crisply on Wednesday in going an efficient 2-for-5 with the extra man. 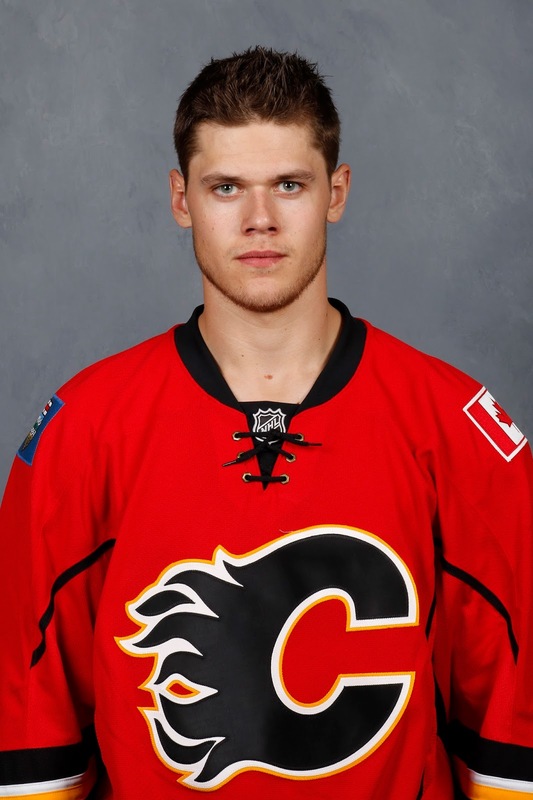 While Calgary did try Kris Versteeg at the point briefly on Tuesday on one man advantage, going with just one natural defenceman and four forwards seems to be the modus operandi so far for Huska. With that single D often positioned at the top of an umbrella formation with his two nearest forward options one-third of the way down the wall on either side, it sure seemed to work well. Mangiapane's slick wrist shot for his first goal came with Wotherspoon as the lone d-man and Jankowki's one-timer in the second came with Oliver Kylington manning the point. In both cases, the four forwards were the two rookies Jankowski and Mangiapane, joined by veterans Frattin and Vey. That unit appears to have some early chemistry and there's certainly no shortage of skill there. The Heat are back in action on Friday night when they host Tucson. The AHL affiliate for Arizona is new this year to the Pacific Division. 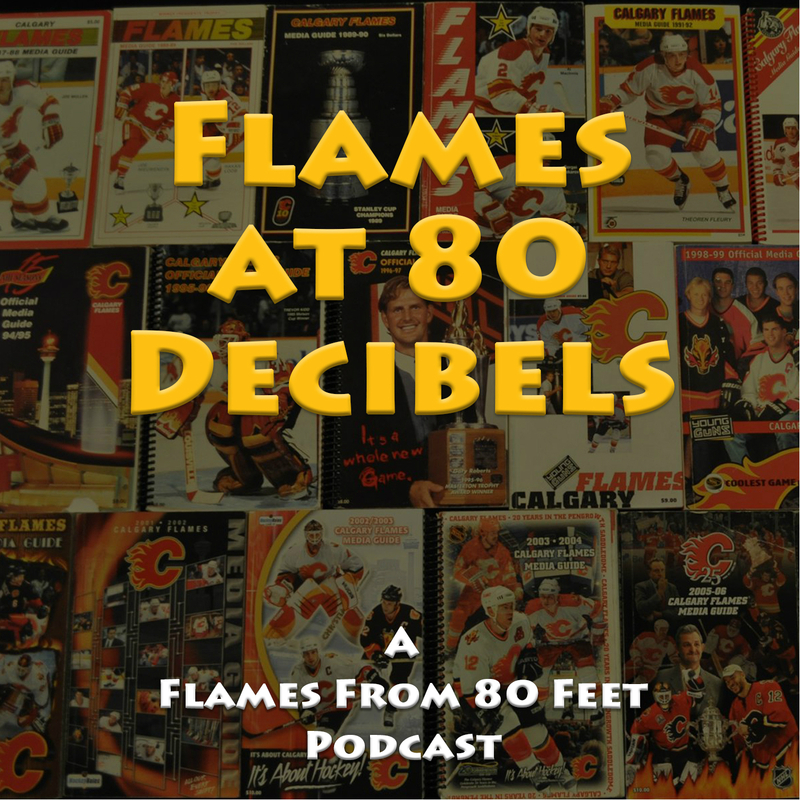 The off-season, an excruciatingly-long 185 days, comes to an end today as the Flames open up their 35th season in Calgary. Following up on a popular feature I first hatched last year, here is the 2016-17 edition of my eight bold predictions. When you think of back-up goalie in Calgary, you think of the guys that ran the defence gate during the time Miikka Kiprusoff was entrenched as No. 1. From that motley crew that included Joey MacDonald, Henrik Karlsson, Curtis McElhinney, Vesa Toskala and Brian Boucher, a measly five wins would have been a godsend. But Johnson is not your ordinary back-up. He had the third-best save percentage in the league after November 1 last year and he will get plenty of playing time. This is not a scenario in which Elliott will get 90 percent of the starts. I'd expect closer to a 60/40 division in playing time and when he gets hot, Johnson could string together multiple starts in a row. On an improved team, the motivated Calgary native could surprise many. On Feb. 9 last season, the Flames power play ranked 30th in the league at 14.2 percent and that was a ways back of Toronto, who was 29th at 15.1. However, after scoring 23 times on 162 chances up until that point, they scored 23 times on just 108 chances over the final two months, a rate of 21.3 percent, which was a 50 percent improvement in efficiency and got Calgary up to 22nd in the rankings by the end of the season. They've got the personnel with Johnny Gaudreau the ring leader up front. They've got a dynamic defence. 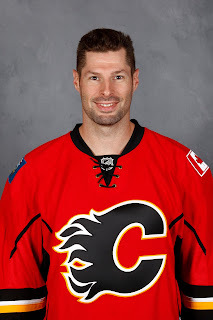 They've added a much-needed right-hand shot at forward in Troy Brouwer, which will open up more options and make the power play harder to defend. They've got a weapon in Sam Bennett, who was rarely spotted on the man-advantage last year but will be unleashed this season, and they have a fresh, new approach to the 5-on-4 this season under new coach Glen Gulutzan. Put that all together and the power play could explode this year, not implode like a year ago. No disrespect to Kris Versteeg, but this is a guy that all 30 teams in the league were prepared to move on from just a couple months ago. An unsigned free agent, he was going to go and play in Europe before he failed his medical and returned to North America. The Edmonton Oilers, whose last playoff appearance predates the first Police Academy movie, said they were interested but only in a depth role. That doesn't sound to me like the perfect fit for a No. 1 line like he is being touted since signing with Calgary on Tuesday. He'll start there, but keep an eye on big Czech right winger Daniel Pribyl, who was declared healthy on Tuesday, having recovered from major knee surgery six months ago. Pribyl was the second-leading scorer in the Czech league last year behind ex-Flame Roman Cervenka. He was in the midst of a strong playoffs too when he tore up his knee. Unsigned at the time so testament to how highly Calgary's scouting staff thought of him, the Flames carried through on signing him anyway and even brought him to Calgary to be operated on by the team's medical staff. The 23-year-old will start off in Stockton but a month from now after he has gotten up-to-speed and has his timing back, etc., expect him to be a top candidate to be recalled and if he gets slotted onto the top line, he could thrive immediately. There's a better than 50/50 chance that Matthew Tkachuk ends up playing this season for the London Knights. But as was the case with Sean Monahan three years ago, don't be surprised if he plays so well over the first month of the season that Calgary just can't get him out of the line-up. He is certainly set up for success. The one line that was together almost the entire pre-season and was very effective was Tkachuk alongside the duo of Bennett and Brouwer. He's got a good shot, he's smart, he'll spend most of his time in the lap of the goalie, the edges of his skates tickling the blue paint. Plus, he's got a steadfast determination to be in the NHL and stay in the NHL. The rookie-of-the-year race should be a great one this season with Matt Murray, Auston Matthews, Patrik Laine, Ivan Provorov and Mitch Marner among the many candidates that could be in the hunt. 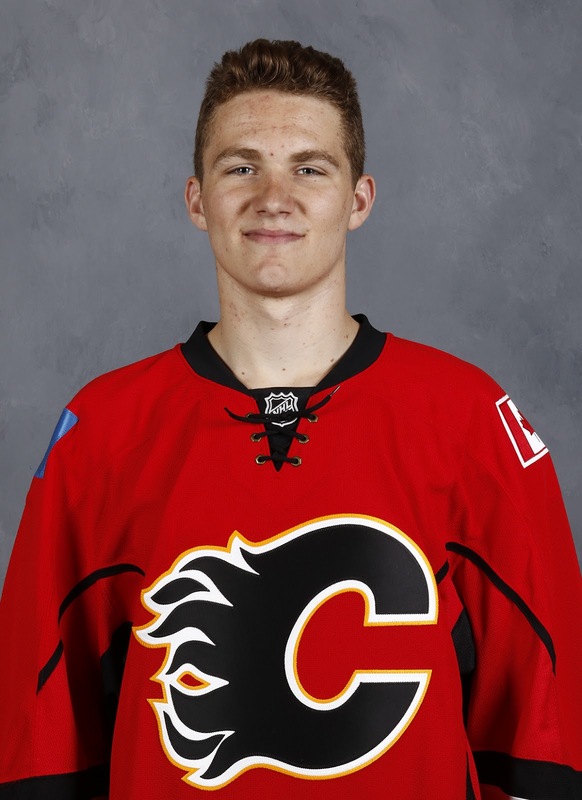 But look for a driven and determined Tkachuk to put himself right in the thick of it and perhaps be one of the three finalists for the Calder should he stay in the NHL and be an integral piece of the Flames top six, which you could argue he already is. Anything Johnny can do, I can do better. 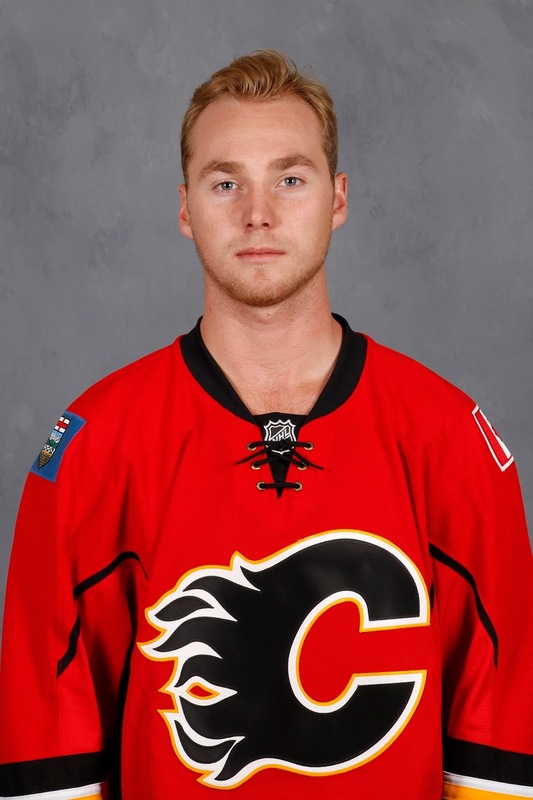 Well, maybe not to that extreme, but just watch Sam Bennett go this season. 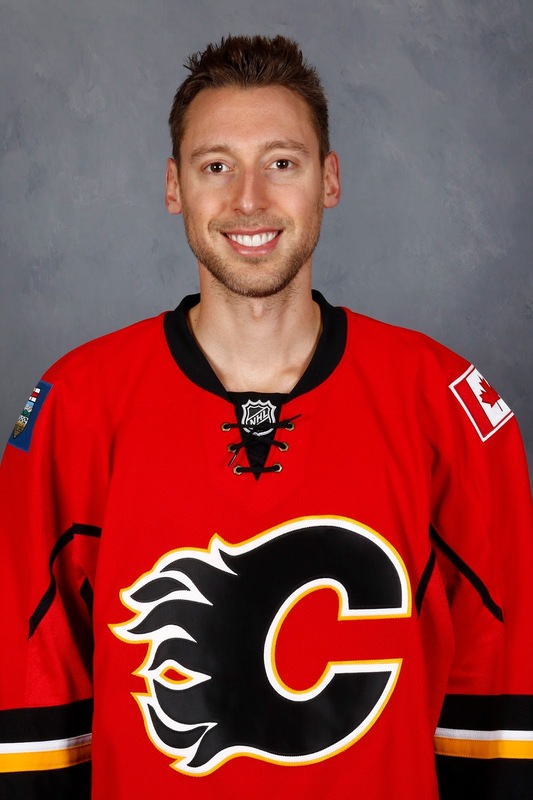 If there's one player on this Flames roster that could benefit the most from the coaching change, it's Bennett. After a busy off-season of training, the 20-year-old reported for camp 10 pounds heavier than a year ago. But with the weight off his shoulders of all the over-handling he persevered last year, he probably feels at least 10 pounds lighter. Since he didn't get the chance to showcase himself nearly as much as he should have a year ago, it's easy to forget how highly-skilled this young man is. You saw it the night of his four-goal game against Florida. You witnessed it in junior when he put up some eye-popping numbers with Kingston in the OHL. Remember his last tour with the Frontenacs when he had 24 points (11 goals, 13 assists) in 11 games. He's on a line this year that has shown immediate chemistry. He's going to get plenty of power play time, which was hard to scrape up last year. He'll get 3-on-3 overtime time, which was similarly rare last season. After a year in which he spent a third of the season immersed in learning to play center in Bob Hartley's system, he still put up 18 snipes. Entering the final year of his ELC, don't be shocked if he exceeds the 30 goals Gaudreau put up a year ago. Then settle in for another long and agonizing summer of contract negotiations. Calgary finished 21 points back of third place San Jose in the Pacific Division last season, and fresh off a trip to the Stanley Cup final, the Sharks should be better. But so should Calgary. A lot better. If they can clean-up their divisional record and in addition to bringing back some bottles of wine from Napa Valley, can actually bring some victories back from California too, the Flames could break up the vaunted West Coast cabal. The Ducks are opening the season without restricted free agents Hampus Lindholm and Rickard Rackell. Randy Carlyle behind the bench will be a recipe for something but whether or not it's success, that remains to be seen. Can John Gibson stay healthy and be the solution in net? Meanwhile, the Kings are vulnerable too. They're older. Milan Lucic is gone. If Jonathan Quick doesn't play at an elite level, will Darryl Sutter's crew score often enough? The window is there for Calgary to latch onto one of the top two seeds in the division and wouldn't some home cooking be a great way to celebrate the return of the Red Mile come mid-April. The cramming is underway. Late to camp, with a new coach and a new system to learn, trust that Gaudreau is watching a lot of television these days, but it isn't NetFlix. But this kid is an elite-skilled player, who will simply go out and do what he does best, create offence. He had 78 points last year with a power play that was dreadful most of the year. Add on another 5-10 points with improvement there. He's a year older so add in an inflationary spike of another 5-10 points. Whether or not his pal Monahan can finish off his set-ups at the same pace as seasons past remains to be seen and there are still concerns about the hole on the right side of that line, but if he can bump up to around 90 points, that could find himself second to Patrick Kane at the end of the year. Let's run down the six players that finished ahead of Gaudreau's 78 points in 79 games ni 2015-16. While Jamie Benn is a fantastic player, last year's Art Ross runner-up might be hard-pressed to duplicate his career-best 89 points. With Sidney Crosby (85 points), there are the concussion concerns. Joe Thornton (82 points) is getting up there in age and Erik Karlsson's 82 points feels like a high-water mark for the Senators defenceman. If the emergence of the Brouwer-Bennett line can take some attention away from Gaudreau in enemy barns, an uptick in his production away from home could very well result in him being the best-of-the-rest when it comes to chasing Kane. The big name that everybody around the league knows is Mark Giordano. All-star appearances the last couple years is proof of that. The high draft pick that everyone has heard about, thanks to his much ballyhooed exit out of Boston last summer, is Dougie Hamilton. 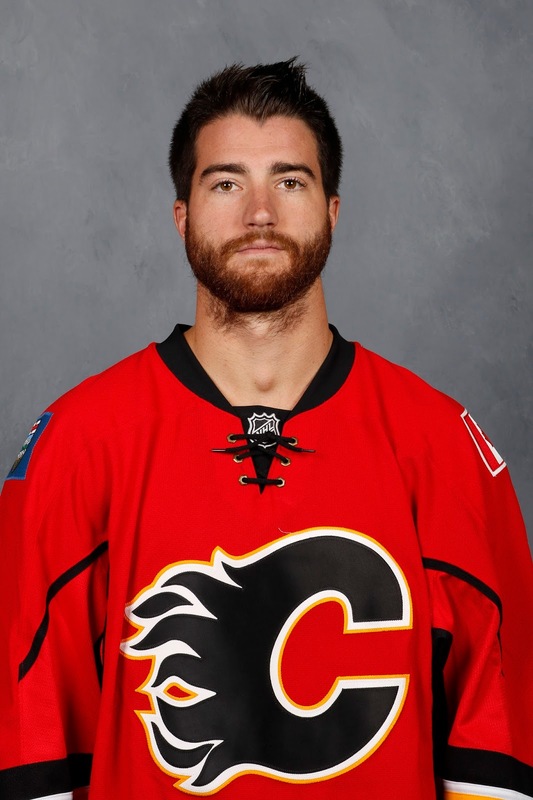 The guy that slips under the radar and is grossly undervalued outside the Calgary market is TJ Brodie. Perhaps this is the year that changes. Not surprisingly, defencemen are never going to get any love when the team is last in the league in goaltending and we witnessed that last year. Giordano finished 13th in Norris voting and Brodie never got a single vote. The winner was Drew Doughty with Erik Karlsson and Brent Burns as finalists. But if Calgary is, indeed, a much-improved team this season, it's with a more frequent and more positive spotlight on the Flames where voters (the NHLPA) will get a much greater appreciation for the dynamic game that Brodie brings to the rink every night. He's a lightning-quick skater, great vision, sublime passer and solid defender. As captain, Giordano will always be the face of the back-end for the Flames and make no mistake, he's playing his best hockey, but the engine back there, methodically doing his thing, is Brodie and this could be the year the rest of the league realizes that as well. At dining room tables across Calgary on Monday, as family gathered to celebrate Thanksgiving, I suspect Johnny Gaudreau's name came up more than a few times. 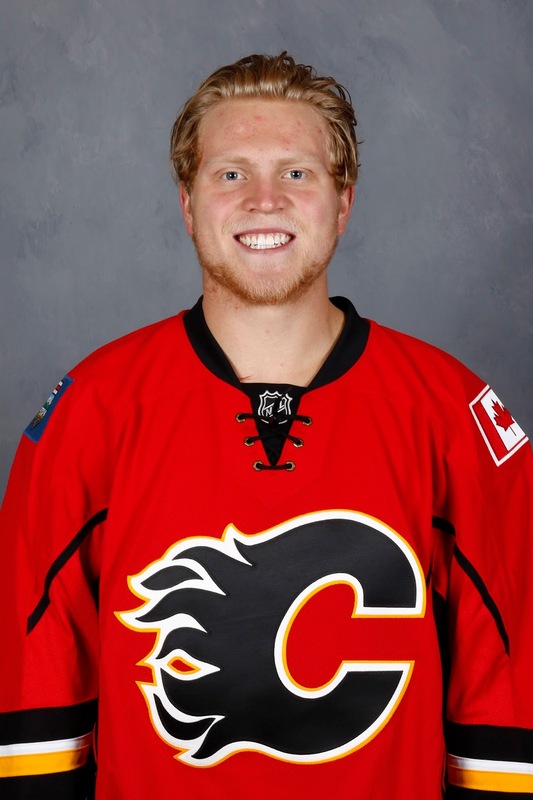 After all, it was a day for hockey fans to give thanks that the diminutive kid from New Jersey will remain a member of the hometown Flames for another six seasons. The dramatic impact the 23-year-old has had on this city in his two years removed from Boston College has been immeasurable. Thus, news of his $40.5 million contract extension -- the exact same deal inked last summer by Mark Giordano -- was reason for fans to celebrate. The last time Gaudreau was spotted on the ice was Sept. 21 in Toronto, his last shift a memorable one. It was his slick pass to Nathan MacKinnon that set-up the overtime winner as Team North America defeated Team Sweden 4-3 in the World Cup of Hockey. Since then, two-and-a-half weeks -- that to many probably felt like two-and-a-half months -- have passed with the star left winger conspicuously absent from Calgary's training camp. 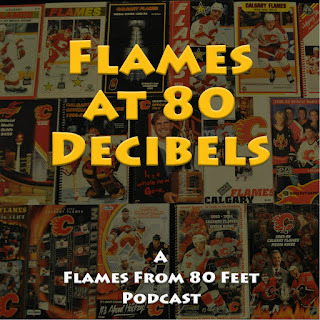 Monday morning, as players filtered off the ice after a brisk, lengthy and detail-oriented practice at the Saddledome, they all put on a brave face with the obvious discussion topic, a non-topic. Mark Giordano spoke about the excitement of opening the season against Edmonton. Sean Monahan talked positively about the different atmosphere around the team this year. 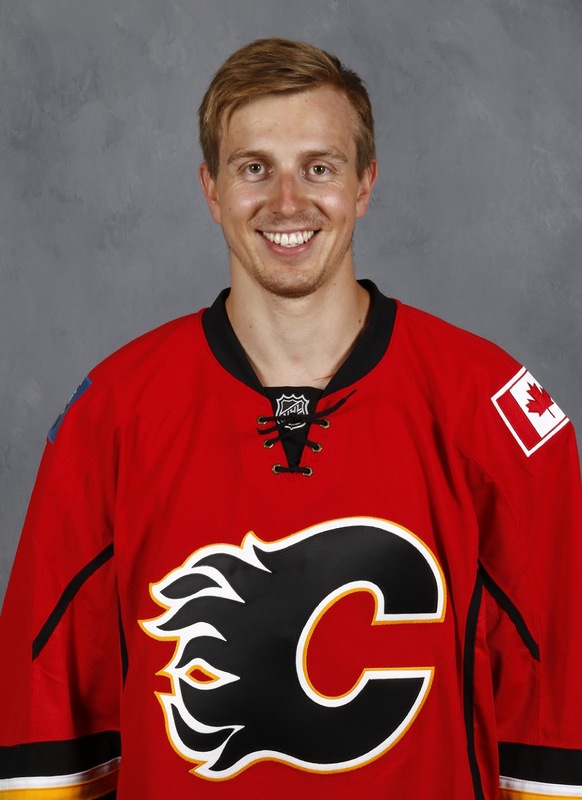 Mikael Backlund mentioned the system play and how encouraged he is with how it's going. Heck, even coach Glen Gulutzan was in on the facade, insisting that Linden Vey wasn't just playing on the wing with Monahan and Michael Ferland as a placeholder for a certain absentee, but that he had liked Vey's camp and deserved to be there. Sure. Although that doesn't really explain why he was put on waivers on Friday. Anyway, no disrespect to Vey, but he just tumbled down the forward depth chart and the spot he was clinging to on the power play is long gone. Make no mistake, the real winners here are supporters of the Flames, who pour their hard-earned money into supporting the team through tickets, jersey sales, etc. Having been subjected to two tours of Olli Jokinen, having never had the opportunity to enjoy the raw talent of their own top-three pick, never mind a first overall like the neighbors to the north redeem on a regular basis, Gaudreau is arguably the most exciting player in franchise history. 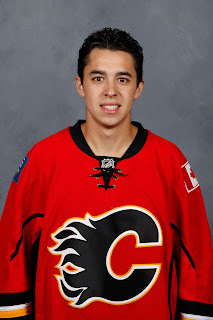 Big winner with Gaudreau signing are all Flames fans. He's a rare, electric talent that now, deservedly, you can soak up for six more years. Kent Nilsson, for those of you old enough to remember, was darn talented too, but the 'Magic Man' left Calgary over 30 years ago after five seasons. Gaudreau already has two seasons in and expect him to hang around for at least six more. Am thinking it won't be long before you can remove the 'arguably' from that previous sentence. While he may be a fourth round pick, re-visit that 2011 draft and name one player you would rather have instead of him. Ryan Nugent-Hopkins? Gabriel Landeskog? Mark Scheifele? Yeah, I didn't think so. Those spotted giving an extra couple fist-pumps at the news was season ticket holders and why not, considering the Saddledome is the gallery where his finest work has always been on display. The highlight-reel dangles, the sublime passes, the display of raw emotion after the big overtime goal -- so often it comes with him wearing red. It's as if hockey's version of The Louvre has an address of 555 Saddledome Rise. Walking from the parking lot into the arena as I do every home game, I always make a point of observing the names that adorn the backs of the crush of Flames jerseys as fans head to the game. Jarome Iginla's town up until three years ago, the last few years have been one of transition. But it seems like every game, the ratio of Gaudreau-to-other names slides further and further in the direction of No. 13. Heck, on an off-night last season I took my teenage daughter to a game and I left there $150 lighter in the wallet as she joined the masses. That's the impact he has had and will continue to have. It's an impact that extends well beyond what he produces on the ice. He's personable, friendly. For the same reason my generation grew up adoring Gary Coleman and Emmanuel Lewis, he's an adorable presence. It's something about being short. How many grandparents out there want to just reach into their television and give his cheeks a pinch. Of course, don't confuse this as someone just happy to be here. Oh, he loves to play hockey. But to be clear, he loves to win at hockey. "It's something I've had in my blood my whole life. I hate losing at whatever we're doing," Gaudreau told me last December when in this piece, I set out to investigate the origin of his competitive fire. Heck, he even confessed to cheating at board games with his family. "I remember this one game, Chutes and Ladders," he recalled last December. "Me, my brother and my two sisters used to play it constantly. You would go up and down and up and down and I used to always try to find a way to sneak my guy up one more level." That drive has never abandoned him. After a Flames OT victory last year while the media was in a scrum a few feet away with the winning goal scorer -- Giordano or Backlund, I can't remember who it was now -- there was this commotion heard from Gaudreau's dressing room stall nearby as he took off his gear and fired it to the floor in anger. Had Calgary not just won? They had, but Gaudreau had the winning goal on his stick seconds earlier and failed to convert, and he was furious at himself for that. Whether it's late Monday night or early Tuesday morning, Gaudreau will get on a plane bound for Calgary. The team expects him to arrive in time for the Flames practice at 11 am on Tuesday. Other than Wednesday's game-day skate in Edmonton, this is the last chance for a solid practice before the season-opener. Safe to say that instead of binge-watching House of Lies on the flight, a mini-series of video clips produced by Gulutzan will be what airs on his tablet. After all, there is a lot to learn in a very short time with a new system at even-strength and a few changes to the power play. And there's no time to slowly settle in either. Calgary started the season miserably a year ago and it cost them. A 2-8-1 opening 11, just two regulation wins in their first 19. The playoff chase was over before it realistically began. The widespread fear was a repeat of that this year. Think about how the Oilers would have been salivating at the possibility of getting two of this season's four showdowns with the Flames out of the way before Gaudreau had signed. Now with him back in the fold, a sense of normalcy can return with guys back in their proper seats on the bus. While Calgary continues to search for a solution at top line right wing -- it looks like Michael Ferland will get the first shot, for now anyway -- at least they're not also searching for a top line left-wing. The work turned in this off-season by general manager Brad Treliving has given fans many reasons to be optimistic heading into 2016-17. The emergence of a second line with a rejuvenated Bennett and his early chemistry with Troy Brouwer. The huge improvement in net with established veteran Brian Elliott. The first impression given by scrappy 18-year-old Matthew Tkachuk. But that optimism, that sunshine, had been blocked out the past month as the Gaudreau contract stalemate hung over the city like a dark storm cloud. Well, the clouds parted on Monday night and the sun can once again shine through. While this isn't necessarily the year for the Flames. You never know either. They're better than the team that made the playoffs two years ago. They're much better than last year when they only ended up missing by 10 points. Get into the post-season, if you have a hot goalie, with some scoring depth, you never know what can happen. Long-term as this mix of youth, mid-career savvy and experience grow together, there's even more optimism. Consider that this is a team in which Gaudreau, Monahan, Brouwer, Frolik, Giordano, Brodie and Hamilton are all locked up for at minimum, the next four years. You can inevitably add in Bennett and Tkachuk to that list too. It's a solid core that will be together a long time and while that foundation is the engine that should drive this team to success, you still need the key that starts it up and that guy is Gaudreau.